While I sort through over 500 photos from Gran Canaria and pick which ones to blog, I’ll start off with some quick shopping summary of sorts. I wasn’t expecting much on the shopping front while I was on this holiday and since our side of the island didn’t have much to offer apart from the customary supermarket and a solitary souvenir shop, we took our money to the capital Las Palmas and the neighboring (not to mention picturesque) marina community of Puerto de Mogan. In Las Palmas, the only upper echelon brand I went into was Loewe, where I left empty handed. 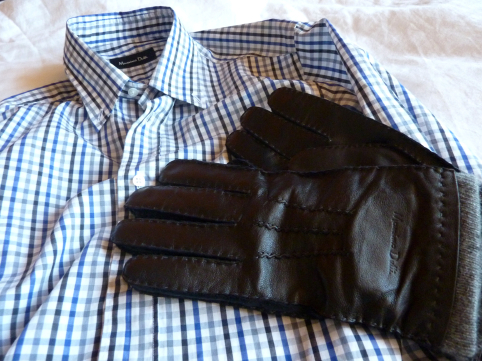 Walking along the main shopping avenue of Calle Triana, I spotted high street brand Massimo Dutti where I picked up a pair of leather gloves with wool lining and a gingham shirt for work. These items were on sale and I paid less than 50 euros for both. Joy! We were in Puerto de Mogan one day and feeling the summer vibrations in the air (in January, no less! 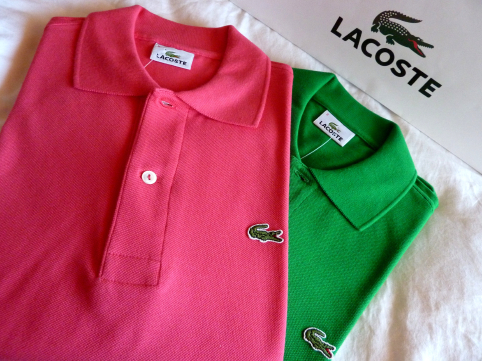 ), I stepped into the Lacoste store and got myself two of its classic short sleeve pique polos in delightfully vibrant colors – Goji Berry Pink and Chlorophyll. Since I’m now back in Oslo, I would have to wait until our summer days are here until I could use these. In five months time. Boo! Shopping loots make great souvenirs, non?